By placing order at www.diamondindia.net, you are agreeing with the terms & conditions below. Please read all terms and conditions below very carefully. We reserve the rights to add, edit or remove any of the terms and conditions without any prior notice. We shall deliver the products as per the details/specifications given on the order form by the user. However, in case of non-availability, we may deliver a similar/alternate product and it shall not be deemed as bad-delivery. We reserve rights to add or remove or alter any product offering without any prior notice. Specified order processing days & delivery days are working days only. Weekends Saturday/Sunday, Holidays & National holidays will remain excluded from delivery timeline. So please keep it in mind while placing your order with short deadlines. Even though Diamond India Ltd. shall try to meet the date and time of delivery schedule as given by the user in the order form, any delayed/ early delivery for whatever reason shall not entitle the user for any damages or compensation from Diamond India Ltd.. Our normal delivery schedule is specifically given with the product description. We shall take due care at the time of delivery to deliver the product to the correct person at the address on the order form, but disclaims any responsibility for claims, damages, and/or compensation. We hold every received order on security check for few hours. If in case we require some additional verification on your order, you may require submitting some additional documents to verify your identity.. These documents include but not limited to be; Photo Identity proof for delivery purpose only. If you are not comfortable submitting these details, your order will get cancelled with immediate effect and money will be refunded back to customers account. Octroi charges or any Local charges as applicable needs to be paid by customers, in addition to the total order amount paid. Diamond India Ltd reserve complete rights to modify the pricing norm of any of the products, with or without any prior notice. Diamond India Ltd. reserve complete rights to start/modify/cancel any of the promotional offer, discount or activity, with or without any prior notice. If due to any reason you declined to accept the delivery, No Return/ Refund Requests/Chargeback cases will be entertained in such case. Diamond India Ltd. reserve complete rights to use/choose/change any of the shipment carrier/shipping agency for delivery order parcels to customer locations. This website is owned by Diamond India Ltd. Mumbai, Maharashtra, India. No material from this website or any other website owned, operated, controlled or licensed by Diamond India Ltd. Mumbai, Maharashtra, India and/or associates or sister concerns may be copied, reproduced, republished, transmitted, downloaded, uploaded or in any other manner for commercial use or otherwise without written permission of Diamond India Ltd. Mumbai, Maharashtra, India. Violation of this condition is a violation of copyright and other proprietary rights of and/or their associates or sister concerns or affiliates. The product/services provided on this site are without warranties of any kind either expressed or implied and Diamond India Ltd. disclaims all or any of them to the fullest extend. Diamond India Ltd does not warrant that the products/services offered will be error-free, or that the defects will be corrected, or that this site or the server that makes it available are or will be free of viruses or other harmful components. 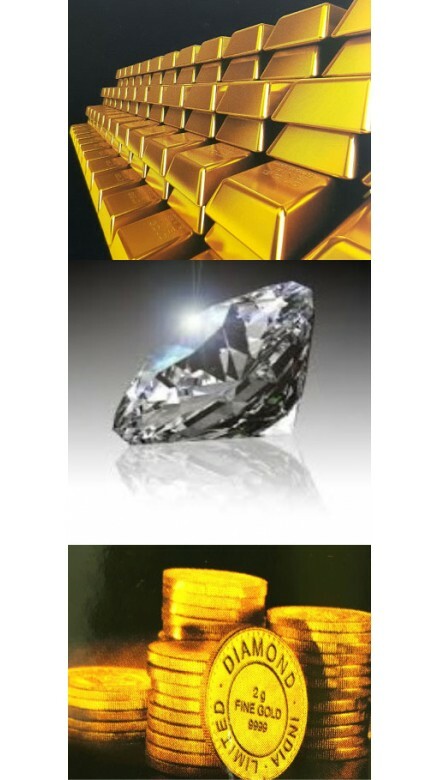 Under no circumstances whatsoever shall Diamond India Ltd be liable for any loss of data, lost profits or any damages whatsoever including, without limiting, any indirect, special, incidental, consequential or other damages that result from the use of or inability to use the products offered in the website. Notwithstanding the foregoing, in no event shall Diamond India Ltd. be liable to the user for any or all damages, losses, and causes of action (including but not limited to, negligence) or otherwise exceeding the amount paid by the user to www.diamondindia.net (Diamond India Ltd.) for that specific service/product. Kindly be informed that www.diamondindia.net (Diamond India Ltd.) will not be able to refund or exchange any online sales at www.diamondindia.net (Diamond India Ltd.) under any circumstances. Diamond India Ltd.) firmly believes that all the customers who order online are aware that colors seen on a product will be slightly different as compared to the color of actual product ordered. Diamond India Ltd.) trusts and has faith in its customers for making its online venture successful so that every year we can deliver and probably exceed our customers’ expectations. Currently delivery of products purchased on www.diamondindia.net is available across India only. As and when we would provide delivery to other locations, the same would be updated here. click here to view serviceable pincode list. In the case your order is not serviceable by our delivery partners or the merchant or the area is not covered, we would request you to provide us with an alternate shipping address which we expect to have on our partner/merchant's delivery list. In case there is any dispute regarding the shipment of the product or services for the area not covered will not be responsible for the non-delivery of the product. DIL doesn't deliver items internationally. However, you can make purchases on the website from anywhere in the world but at the same time ensuring the shipping address is within India. In case you book multiple orders for the Products and Services in one transaction, DIL would endeavor to ship all Products together. However, this may not always be possible due to some product characteristics and/or logistics' issues. If you purchase multiple Products in single transaction, then all the Products would be dispatched to a single shipping address given by you. If you wish to ship Products to different addresses, then you should book the orders separately based on the delivery addresses. www.diamondindia.net will charge shipping / delivery to the customer. The delivery charges will be calculated based on product, price, number of quantity, location etc. Your order will be delivered as per the stipulated delivery. We believe in providing our dear customers with the best service, however, we reserve the right to change/discontinue the Shipping/Delivery charges at any time. www.diamondindia.net makes every effort to service the orders placed with them, as per the specification and delivery timelines mentioned against each product. As a policy, we request you to kindly check the product and the accessories while accepting the delivery. In case of any discrepancies, kindly bring it to our notice before accepting delivery. After acceptance of delivery of the product, www.diamondindia.net will not entertain any returns or refund request.